The Best Gluten Free Scones in the World? 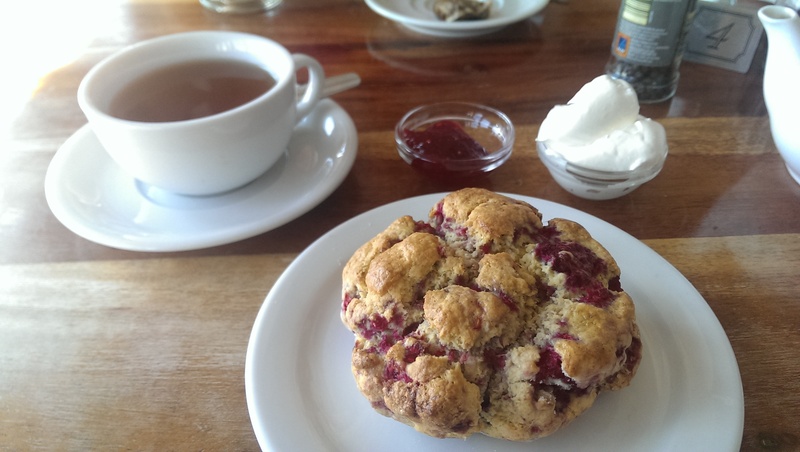 Home > Celiac Travel Blog > The Best Gluten Free Scones in the World? "Do you have any gluten free cakes"
"But I can make you some gluten free scones!" 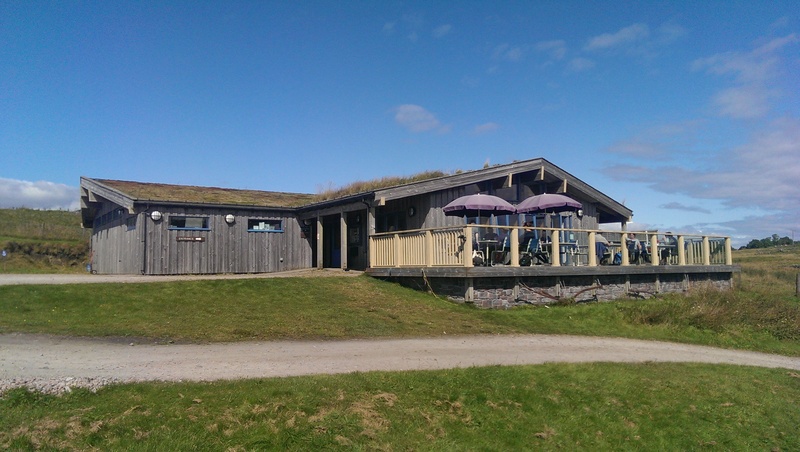 So went the conversation when we arrived at Lios Beag Cafe on the isle of Lismore, Argyll. We'd heard about the gluten free cakes at this cafe, and had biked-ferry-biked from Oban with the promise of gluten free goodies at the other end. I admit it, I wasn't overly excited when I heard we were getting scones, gluten free or not. We'd recently had gf scones at the posh-as-you-like Waldorf Hotel in London and the renowned Willow Tea Rooms in Glasgow. Both were about as good as my attempts at gf scones, that's to say, brick-like. So I was keeping my expectations low. I mean, it actually looks like a scone! And it's got raspberries in it! And it was amazing. Fresh from the oven, warm enough to melt the fresh whipped cream, just perfect. Kiki, who made these angelic beauties told us a few secrets about how she did it. I'll leak a couple to you here - there was quite a lot of baking soda, and the frozen raspberries cool the batter down. If you want more, you'll need to ask her yourself on the Lios Beag Cafe Facebook Page. I'm off to see if I can recreate them. I doubt I'll be able to though, I have the feeling Kiki put some kind of actual magic in them.